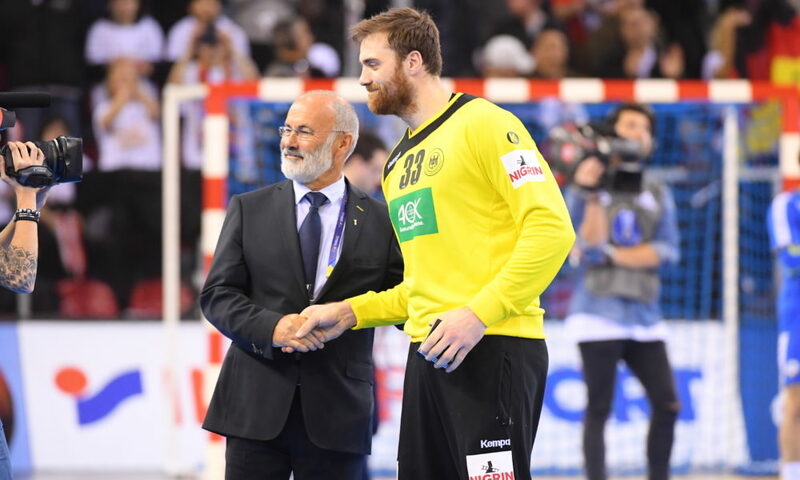 “At the beginning we had some problems,“ Andreas Wolff said right after the win against Belarus. Germany also won its fourth match at the World Championship in France, but had some problems in the first half. “16 goals against us in the first half. It is obviously that we had a problem with our defense”, Wolff added. “The first half was not good enough, we were always one step behind. We had a lack in aggressiveness especially in defense,” Coach Sigurdsson said. The match against Belarus was not that easy of course as the two last matches against Chile and Saudi-Arabia, but Germany improved their performance with the beginning of the second half and is still unbeaten in this tournament. Germany and Belarus were fighting head to head in the first half, a lot of changes in leading were seen by the 5.000 spectators in the arena. Just one second before the break Kai Häfner scored the 16:16. “The second half started very well”, the headcoach of Germany, Dagur Sigurdsson, said at the press conference. Patrick Groetzki scored three times in a row an brought Germany to the first lead by three goals. Another three goals in a row and Germany was leading with 24:18. That was a kind of decision in the match although 18 minutes were left. From Germany following handball for years, and have en eye on both men's and women's handball.